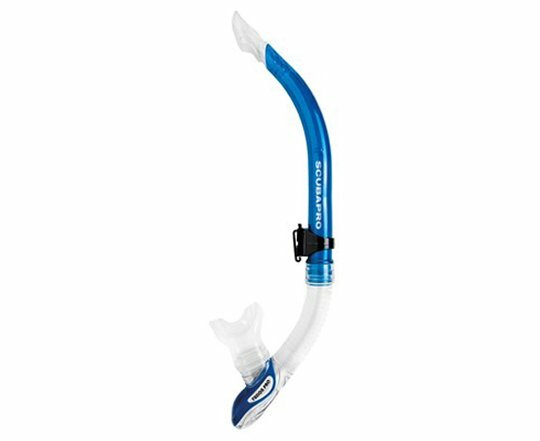 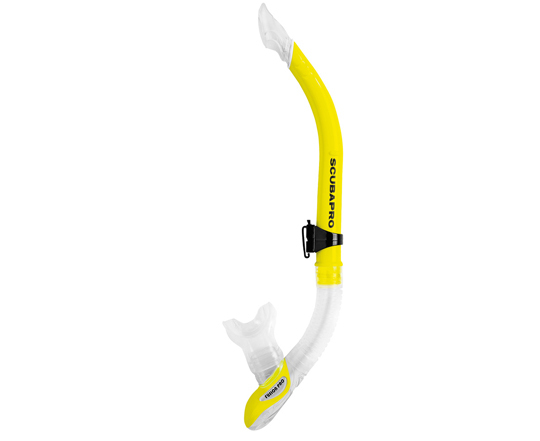 The Scubapro Fusion Pro is a modern snorkel design featuring an upper splashguard to keep water out. 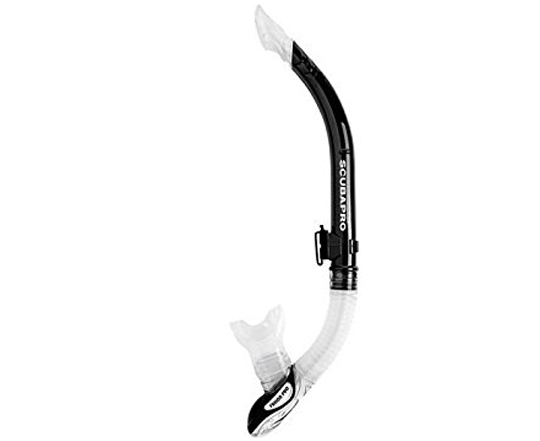 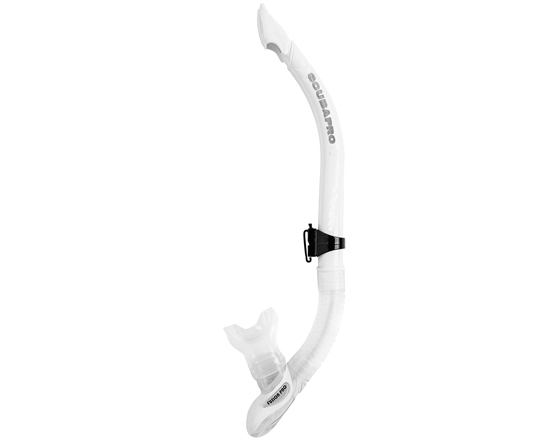 The lower flex hose drops conveniently from the mouth for scuba divers who switch to their regulators. 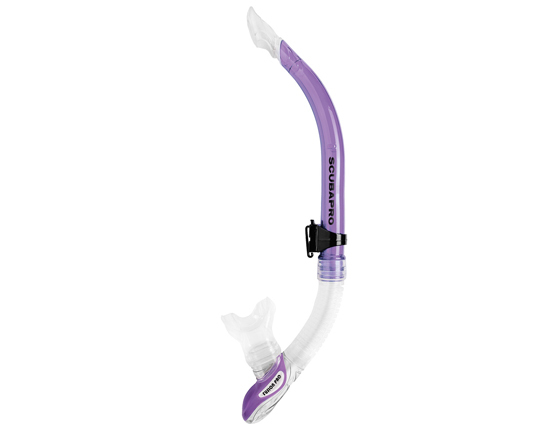 There’s a purge valve, also positioned low, to drain any water that enters the barrel, and the comfortable silicone mouthpiece is exchangeable.